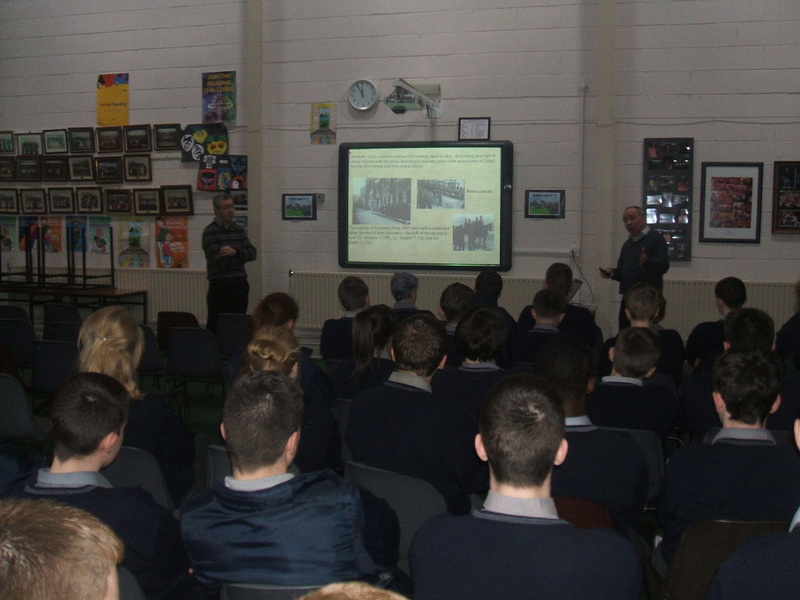 Members of the Local Historical Society paid a visit to the school on Monday, to give a much appreciated and informative talk to the 2nd years. Included in their talk was the Irish Revolution of 1798 and all the local connections to Monasterevin, that most of the class were unaware of. They also brought along their uniforms, a musket, blunderbuss, officer's sword as well as a few original pikes from the period to show us. Monasterevin Historical Society was founded in 2003 and is dedicated to preserving and promoting the history and heritage of Monasterevin. Knowledge of a common history and heritage is essential in fostering a shared sense of identity, community and place. Tony Vaughan demonstrates how a musket should be properly loaded. Apparently there are 14 different operations to be remembered in order to load one properly,,, so as not blow your hand off!! 3rd Year students, in viewing this film, got to experience some of what American soldiers must have gone through on their terms of duty in Vietnam and the horrors they must have suffered. TY and 5th year students got to see this Irish film from a few years ago, focusing on the Irish Civil War and how it split communities, friends and family. 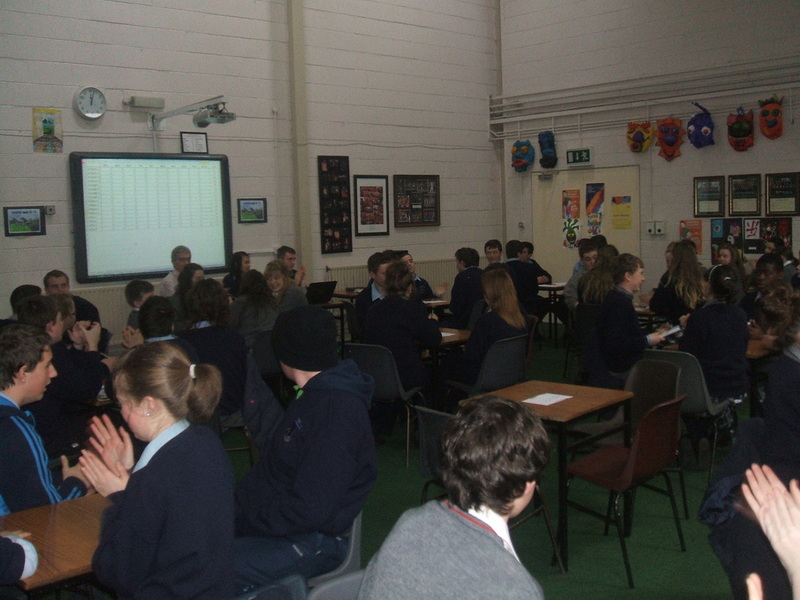 Our first ever History Junior Cert Table Quiz took place during History week. 16 teams took up the challenge with local pride at place. 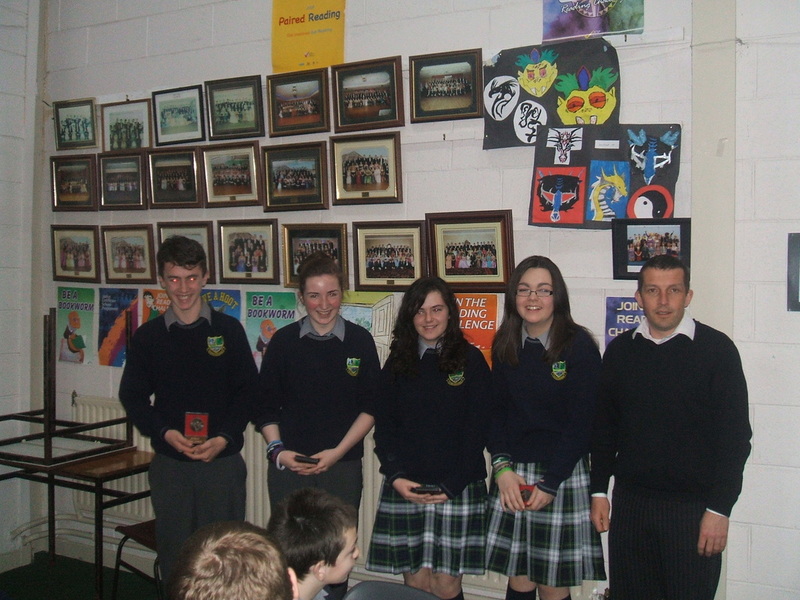 Many thanks to the Principal Mr Bergin who presented the prizes to those who came in 1st, 2nd and 3rd places. Many thanks as well to the TYs who played their own part in collecting, correcting and keeping the scores. 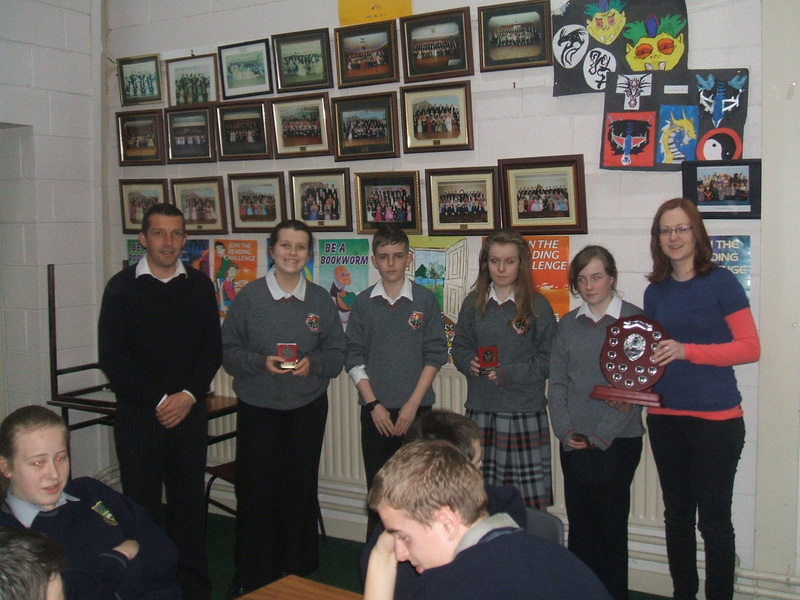 We look forward to the return table quiz next year when we hope to win back the trophy for the school! 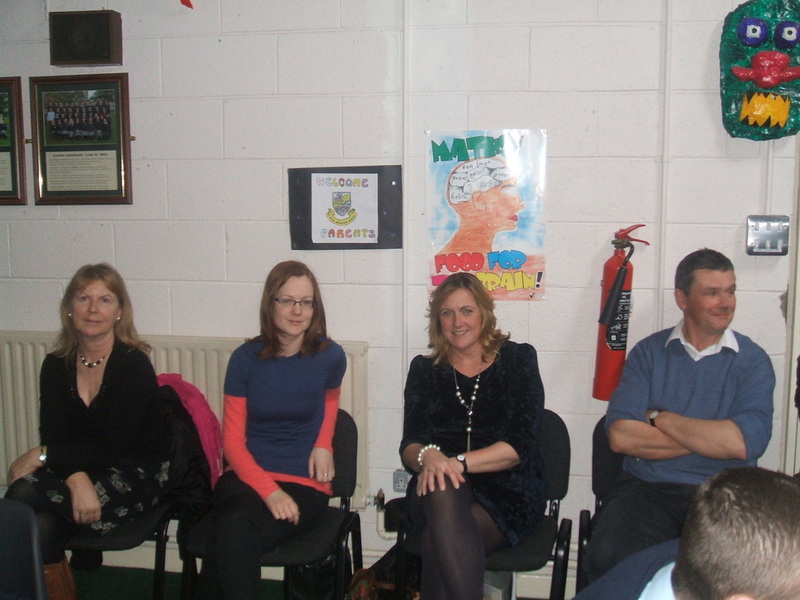 Some of the 16 tables who took part in the History table quiz. On Thursay, Mario Corrigan from Kildare Library paid us a visit. 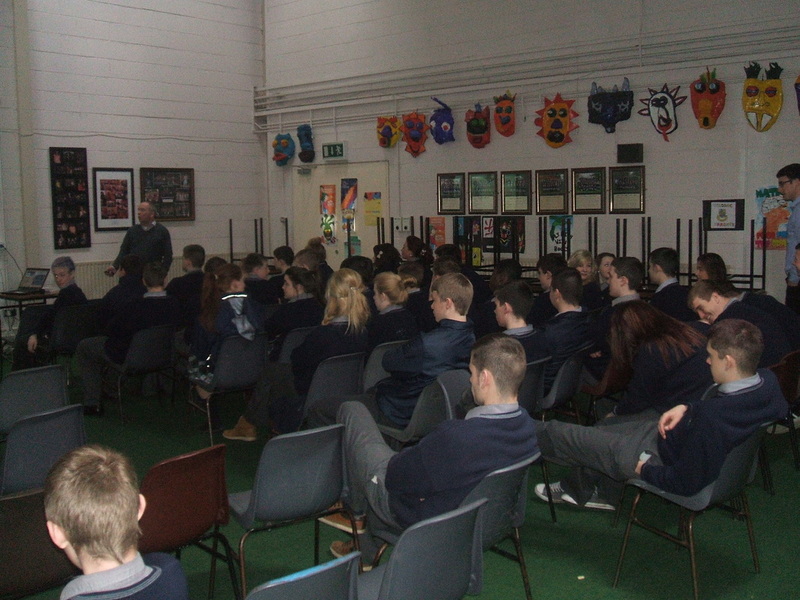 Over the course of 2 hours, our 3rd years and Leaving Cert History students listened enthralled as the story behind the Lockout at a national and local level was laid bare. The session ended with a very enthusiastic Q&A session. 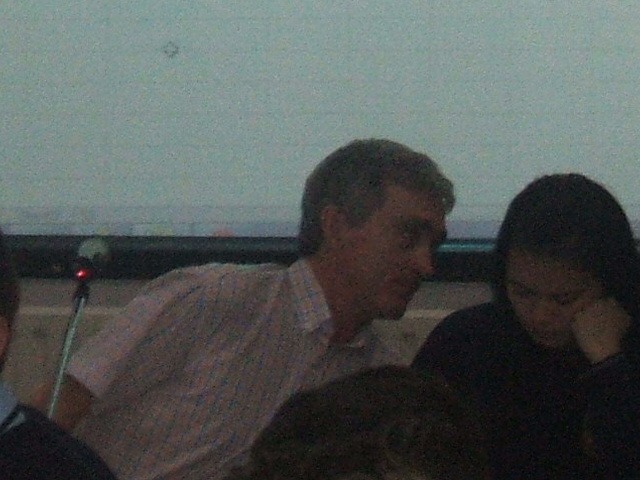 As Mario was leaving he commented that the students had been the best ever group he had at one of these presentations - high praise indeed! for her winning entry in this year's 2013 History Week Art competition. 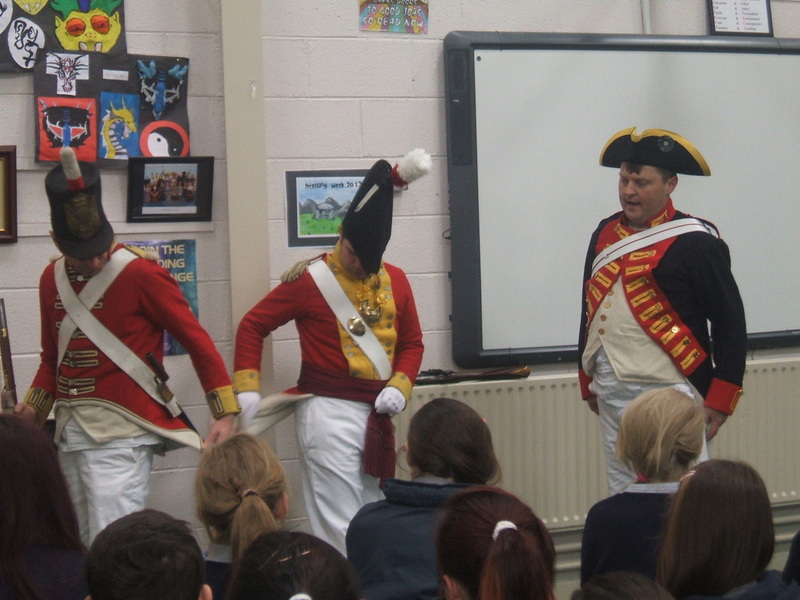 Many thanks to Ms Doyle who organised and supervised the 1st, 2nd and Ty students in this historical endeavour. 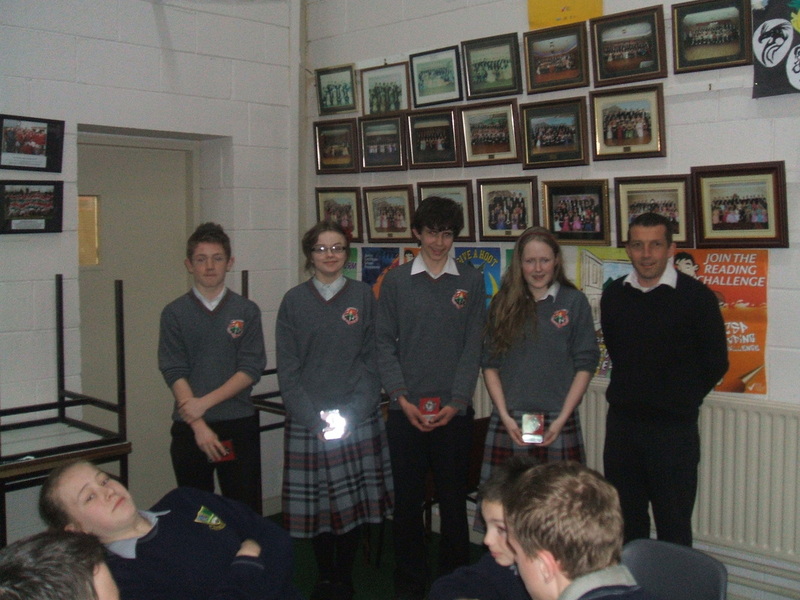 Well done to our Junior Cert History Table Quiz team who finished a highly commendable 5th from 20 schools at the recent Dublin HTAI History Table Quiz. Oran, Laura, Sarah and Hannah finished with a total of 54 from 60 points, only 3 behind the eventual winners Rochfortbridge Secondary School, from Westmeath. St Paul's Teachers Recreate History From 1978! !